A few months ago, Marketing VP Tony Marchese wrote a two-part post about SQL server health. 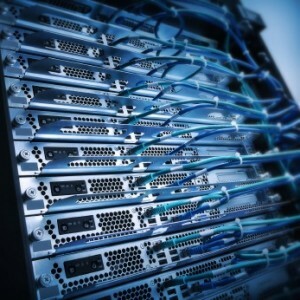 In these posts, he described how to help keep your servers running at maximum efficiency. (You can read Part I and Part II.) Happy servers means more uptime — and more uptime means you’re not up at night worrying about your servers crashing in the middle of a busy shopping season. We now offer full support for SQL Server High Availability with Automatic Failover using SQL Server High Availability technology, such as Database Mirroring and Always On Availability Groups. In plain English, this means that once your SQL Server has been correctly configured, another sever in the group will instantly take on the load — with minimal or zero downtime or delay — if the main server in your group fails. Keeping your servers running at maximum efficiency is crucial if you’re a multichannel merchant or an Internet retailer. Ensuring your servers are configured correctly allows ordering processing to proceed without delay — saving you thousands of potential lost dollars and system downtime due to server failure. Want to ensure your InOrder system is working within an extremely fault-tolerant environment? Give us a call — we’re here to help you. 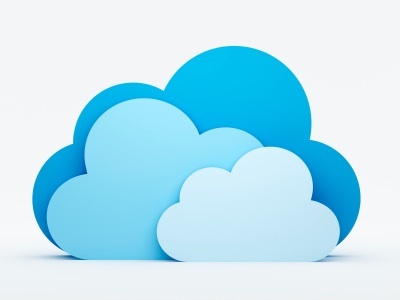 Should You Move InOrder to “The Cloud”? Clients often ask us if InOrder is “in the cloud.” The answer is yes . . . and no. First, a clarification of terms. Although people sometimes use “cloud computing” and “software as service” interchangeably, they mean two different things. Cloud-based computing, or cloud computing, simply means your network isn’t tied to a physical PC in your office. Instead, you outsource your entire network to another company and access it through a service, such as Amazon Web Services, Rackspace, or iNetU. The hardware that runs your network – and lots of other companies’ networks – is managed by the company that owns it. The benefit of outsourcing your network is that you don’t have to manage or replace the hardware – freeing you up to focus on other business issues as well as saving you money in IT costs, hardware, software, etc. Software-as-service is when you pay a subscription fee to use a software application that’s hosted “in the cloud.” This means you log into the application via your Internet browser. The information stored in the application resides on the application’s servers; the company that has developed the software manages all updates, hosting, etc. InOrder is software that’s installed on physical servers whether they’re in your office or somewhere else. Because it doesn’t matter where your servers are, you can use InOrder “in the cloud.” We fully support cloud-based computing and have partnerships with companies like Rackspace and INetU. Cloud computing doesn’t necessarily mean your problems go away. In March 2012, for example, Amazon Web Services went down – an outage that affected many popular sites including Pinterest and Instagram. AWS was down again on December 24, 2012 – and took Netflix with it. Are you an expert on maintaining your servers? If you’re not an IT expert, then you’ll need to hire an IT person or an IT company to help manage your servers. The latter option is a particularly good one for small companies. Do you replace your hardware every three years? If yes, it may make sense cost-wise to consider cloud computing. Is your business Internet dependent? If yes, hosting your site in the cloud versus your own physical servers is probably a good idea. This way, if your town or city loses power due to a natural disaster or other reasons, your online business isn’t affected. (Generally, companies like Rackspace have redundancies that ensure their clients’ networks keep working even if power is out in a local area.) In addition, having your site hosted means you can log on to it through other means, such as a mobile device. What’s been your experience with cloud computing? Have you been thinking about it? If so, give us a call – we’ll be glad to help answer any questions you may have. Celebrating their 50th year of business, IPD has been selling Volvo parts, accessories and performance products since 1963. With a parts inventory totaling over $800,000, IPD ships from its Portland, Oregon warehouse to Volvo owners and enthusiasts the world over. Several people at IPD had pushed for in-house development (or out-of-house development managed by in-house personnel) but decision was made not to go that route for various reasons, including time, cost and the potential that key employees could leave the company at any time. When asked how InOrder has helped IPD, Kevin says, “The biggest gain we’ve had from InOrder is the open Microsoft SQL database. Being able to access our data was our main goal. To read more about IPD and how InOrder is helping them maintain inventory in real time, download the case study. And, if you’re an auto parts company – or any company that sells online or through multiple channels, and your existing business software isn’t working for you, give us a call. We work with a lot of companies and the problem we see time and again is that companies have lots of data — they just can’t get at it. Being able to use your data is important — it’s how you make sound business decisions. We now offer Offsite Prepaid Crystal Reporting Packages. 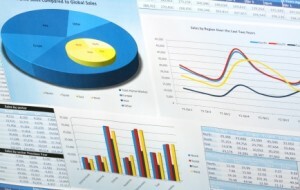 Working with you, a Morse Data programmer will create custom reports using Crystal Reports. Once our programmer is done, you’ll be able to easily create, modify, and print reports — all geared toward your business! These prepaid packages offer you a great savings over standard “time and materials” rates. And best of all, you don’t have to be a Morse Data client or InOrder user to take advantage of them. If you’re using any type of business software and can’t get at your data, call us at 1-800-860-9515 or send email to support@morsedata.com. Each of the following packages includes Project Management, Crystal Report programming, Testing, and Delivery.